I love pies…in fact, each Thanksgiving as a child I can remember eating just a small amount of dinner so I could indulge on pie after pie for dessert. Usually, I didn’t even touch the apple pies although I loved apples. I love apples so much that once I sneaked an entire bag of freshly picked apples into my bedroom and ate them all to my mother’s surprise when she found me and the empty paper sack. I loved apples in everything–everything except apple pie. 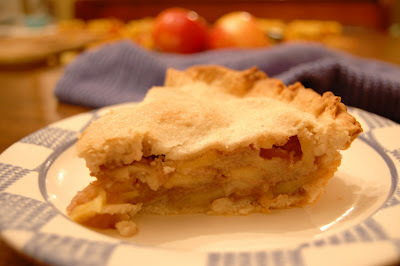 There was just something about the way people made apple pies in my childhood that did not please me. They were either bland, the crust not sweet enough, or the mixture of apples and spices not well balanced. It wasn’t until college when my roommates and I discovered the apple orchard at the gardens at Ricks College that I learned how to make a great apple pie. Never mind the sign that told us not to pick the apples because they were part of some research program, my roommates and I made frequent trips to the gardens where one of us would climb the tree and shake the branches while the rest of us would try to fill our plastic bags with as many apples before someone told us to stop. What can I say? We were adventurous. 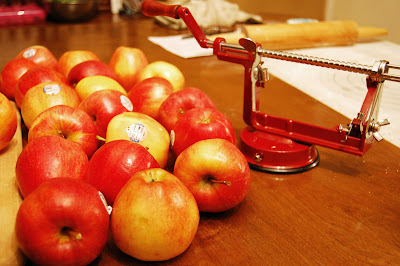 Afterward, we’d take the apples back to Sarah Barnes Hall and we’d each take turns peeling and slicing the apples. 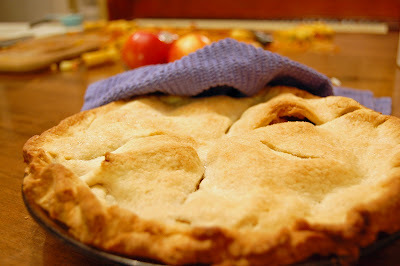 Then we’d get to work making apple pies and other delicious apple based treats. Here my recipe that I’ve perfected over the years since then. Mix together dry ingredients. 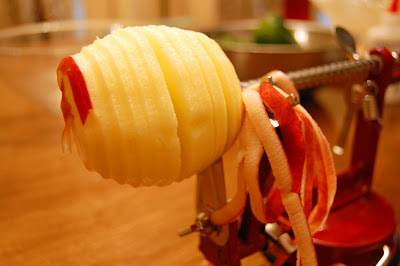 Add prepared apples and toss gently to coat. Pour into prepared unbaked 8 or 9 inch pie crust. Top with unbaked pie crust and sprinkle with a small amount of sugar (you can also brush with melted butter and then sprinkle with sugar). Bake in 350 F oven for 50 minutes.